Naruto Shippuden 427 and 428 see’s a two-part special episodes covering Tenten’s inner world as she’s been captured into the Infinite Tsukuyomi where we meet a number of her friends with many different looks and personalities. Similar to that of how everyone during the Road to Ninja movie, with Menma and Kushina alive. Naruto Shippuden 427 and 428 begins as Tenten rushes towards the battlefield with her weapons, however the Infinite Tsukuyomi activates and quickly gets her. She quickly wakes up and realises that she’s in her bed, she goes outside to see whats going on as she still realises that there is a war going on. She meets up with Lee and Guy who have a different look when they appear, later on we see more appear who just piss her off since they’re not who she thinks they are. We even see Sakura, Sasuke and Menma (Naruto’s counterpart) appear. While they eat, she seems down as she tries to make sense of it all. Their personalities and everything associated to them are much different then what they were before. She runs off as she tries to release the genjutsu that he thinks she might be under, but it doesn’t. Next day, she tries to look for some more genjutsu work but she can’t anything since everyone seems to be annoying her. Next up, we see her friends a little worried but Menma mention that they need to help her out somehow. Others try to help her out, however some time later Hinata steals her scroll containing Sage of the Six Paths weapon. However, she is serious enough to fight her for her scroll. She is given the scroll back by the hands of Menma, someone at the park see’s her effort and the commotion. While Tenten tells her friends that they aren’t who they are and that she has her own goals, she also doesn’t belong there. While Neji tries to bring her back, Tenten might question herself a little. Next day, Tenten wakes up as she tries to figure out a way to return to her own world. She tries but fails when she asks Kurenai for help in this situation. She realises that no one can help her, however she meets someone at a food shop who gives her a map to where she could find someone from the Hidden Rain who can help her out. She decides to go out that night, however soon after she is quickly captured and branded a traitor as evidence increases against her. The map she had been revealed to be an address which allowed people to attack the Village. She is taken into the jail as her friends look at her in shame. Whilst in the village jail, Lee and Neji come to talk to her as they tell her that they will try to figure out who set her up. However, minutes later the village is set on fire as it all goes up in flame after being attacked by the Rain Village. Menma arrives and has the person who set her up, he mentions that she can do whatever she wants but she decides to her the village after is was somewhat her fault. She has been cleared as she arrives to help the others. Menma arrives as he uses his Nine Tail powers to battle against one of the frogs. However, another appear and it’s up to Tenten to help out , she does so using the tools available to her from the Sage of Six Paths, while also saving many people within the village. She is quickly captured by the Infinite Tsukuyomi, fully, as Neji persuades her. Naruto Shippuden 427 and 428 both end here. A pretty annoying set of episodes, even if they were meant as ad-dons for the manga for when everyone is dreaming, I would really hate it for it to keep on hanging for it to also show more stupid dreams of others. Nevertheless, I think this Infinite Tsukuyomi dream thing will carry on in Naruto Shippuden 429, titled “Killer Bee Rappuden: Part 1” which concentrates on Killer Bee of course. Lol, yeah this just sounds kind of sad. I really didn’t care for the alternate Naruto world and thought that it had a lot of potential, but didn’t live up to it. Seeing it again through fillers….and then more fillers to come…well, that’s a little sad. I do find it a little funny though to see how the anime really wants to drag itself on and on so I’ve been secretly hoping that it’ll keep on throwing in filler episodes. I know that they’re no fun and are typically bad, but just think of how much bragging rights you’d have 5 years from now. You could proudly wear a shirt saying “I survived Naruto Shippuden!” I’m sure that a lot of people dropped it during the numerous fillers. Still…we’re supposedly near the final episodes so the legend is nearly over. Actually I’m about to watch this episode. I made the mistake of not following the manga so I’m trying to watch the anime. Its getting really good. This alternate world is unusual but interesting. I think it should have been good, but the problem is that all of the alternate versions of the characters are just really bad. Menma is okay, but alternate Hinata is just a really poor excuse for adding some more fanservice in the show. Alternate Rock Lee and Neji are naturally perverts, which is equally bad and it’s why I really couldn’t stand the Road to Ninja movie. I wanted to like it, but it was handled quite badly. Otherwise, alternate worlds are usually a lot of fun. The series just doesn’t know when to call it quits. Who knows, maybe Kaguya will get an anime only secret origin. Oh I wouldn’t mind that. I usually don’t mind anime only flashbacks as long as they do the character justice. I guess it depends on the character. The best example of something like that happening and not being good was the new Maleficent movie. The whole movie was a flashback to why she is the way she is. I didn’t like that. I always liked it better when Maleficent was just evil. She didn’t need a reason like Jafar, she just did. Yeah, it was kind of iffy. I liked the film, but this wasn’t the real Maleficent. Also, in this version, she never really turned evil as she ultimately became a good guy. In that sense, I just think of the film as an AU. The narration hints at that as well. I guess you have a point. I understand some flashbacks aren’t needed for certain characters. Especially villains. But I wouldn’t mind them if they are good. It’s definitely getting better, but these dream episodes are being a little annoying, I don’t really want to watch then really lol. I think it’s just one of those that wants to just keep on dragging. 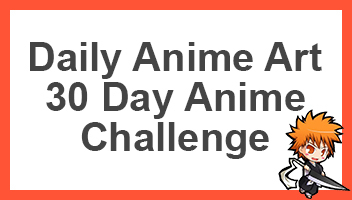 I think they’ll keep on doing this till they earn as much as possibly before the anime ends. That’s true. It isn’t too far off from being completely over. That’s true. I always did notice that Naruto has alot of fillers. Guess they wanna milk everything till they have nothing else huh? Yeah man, I can understand your frustrations, but might as well get use to it, as I’m positive Naruto Shippuden will end in 2016, lets just let the supporting cast have their last remaining amount spotlight. Agreed, I guess riding it out till the end, since its so close go the end. I knew this was going to happen. It didn’t happen in the manga (the dreams) cause it’s manga and it would stress Kishimoto-A LOT. It’s not like I mind the dreams but i am usually looking forward to the Naruto’s point of view. That reminds me, is Naruto Gaiden going to get animated? Cause I don’t think so. I think Naruto Gaiden was a one time thing, it was a little extra. I don’t think it’ll get animated, but I don’t think we should write it off since it would be a nice addition to the series when it ends. Hey Sunite there is something I like to ask you, I’m playing on a theory page called “Why I think 2016 is the idle year for Bleach Anime to Return”, it will be a page with a images and points on why I think Bleach could return and why I think 2016 might be a good year. And I just like to ask if I liked to upload this on Daily Anime Art, but I know its not a site that anyone can upload anything like Deviantart, I like to know if a needed permission who would I have to ask? Thanks dude, and I hope 2016 will be the year!!! You like, once I have it up I’ll send you the link and you can tell me what you think. No problem. I actually only had one thing to say about your idea of the original Captains. I consider Hikifune one of them. Even though it’s very possible Shutara was the first 12th Division Captain, she doesn’t really seem like a scientific person. Hikifune created the Gikon, which is used by scientists like Kisuke and Mayuri. Also, just because she doesn’t seem like a killer doesn’t mean she wasn’t one. Unohana had an entirely different personality when she switched to the 4th Division. I also consider Shunsui and Jushiro original Captains considering their over 2000 years old. Love your work dude! I don’t see her as being one of the captains, but I can see her as being part of the Gotei 13, as an officer back then. Also I don’t think Shunsui and Jushiro were part of the first Gotei 13, mainly because in 511, when we saw a young Shunsui going in Yamamoto room and he found that painting of Yamamto using his bankai, and he called himself a monster and how he only made the Soul Society worse in a crisis, (which I’m sure was the frist war with Yhwach), and I don’t think its ever been stated to be around 2000 years old, (I think you might be confusing them for the Academy, that Yama created over 2000 years ago, and they were the first graduates who ever became captain). And also THANK YOU FOR LOVING MY WORK DUDE!!! Actually, if you remember the chapter when Yhwach killed Yamamoto, that flashback was stated to be 2100 years ago, when Shunsui was a kid. Go back and look cause I’m positive. The Gotei 13 was founded 1000 years ago, so logically I’m guessing Shunsui and Jushiro were original Captains. Same guessing the same with Hikifune. If not for her personality than go by her power. Despite being the most recent Shinigami promoted to the Royal Guard, she’s clearly very powerful like Shutara, Oetsu, and Tenjiro. Those four are equal in my eyes, but weaker than Ichibei. For example, I can see Tenjiro’s spring water leaching the Reiatsu out of Hikifune’s Trees, but I doubt he can do that with Shutara’s unique cloth based abilities. I can see Oetsu’s Sayafushi cutting through Shutara’s Zanpakuto like Gerard did. But I doubt he can do that with Hikifune’s trees. And yes I do like your work. Its very interesting. Also, what’s your opinion on the black eyed female Quincy that spoke with Jugram abiut Uryu’s crowning to Prince? She’s the only Quincy that has yet to have her name and Letter shown. I believe she’s with Jugram at the Palace and she’s a medical Quincy. Sorry mate, I have checked 511 (both in mangastream and mangapanda), and I don’t see any mention of 2100 years ago, (if you find a link that states that scene was 2100 years ago, send it to me OK) Chojiro is really the only one we know who has been with Yama for over 2000 years ago. I believe that female Quincy is Nanao future rival, makes sense for Vice-Captain for the Head-Captain fight the Attendant for the Sternritter Grandmaster, I’m not sure if she has a letter, because I don’t think she is a Sternrtter (Unless she is part of a group of Quincies that are a rank below Sternritters, that are giving letters, but don’t have Vollstandig, the equivalent of vice captains ) and I do believe that she is with Jugo, we know there are other Quincies beside Yhwach Jugo, Uryu & the Elite Guard, because in 630 we saw a messenger, and I doubt they would just bring 1 messenger, plus there is Hallibel too, bet she is under Yhwach control by now. Forget the last sentence, I didn’t think my comment, would actually come below, I swear computers just mess with my head. I couldn’t really find it. I assumed it was that long ago because not only does Yamamoto look the same age, but I’m not sure if he has the 2nd scar on his forehead from Chojiro’s Bankai. I always assumed they were 2000 years old sense Chojiro achieved Bankai before they did, and he didn’t use it from 2000 years. I can understand why you think this women is lieutenant level Quincy. I thought that at first. But it’s very possible the Wandenreich doesn’t even have a military branch of lieutenant level Quincy. Other than the Sternritter and Schutzstaffel, the Jagdarmee don’t even have lieutenant level Quincy, Quilge Opie is also a Sternritter and an Executive Hunting Captain. That’s the only military branch that can possibly have more Quincy to reveal sense Quincy is the Captain of the 1st Jagdarmee. Telling us there are more. It would explain why we haven’t seen Gantenbain or Rudburn. Also, her character design looks to unique to me (especially her pitch black eyes) that she wouldn’t be a Sternritter or share a letter. Yhwach and Uryu share A, Royd and Lloyd share Y, Gremmy,Guenael Le, and Shaz Domino share V. The only lieutenant level Quincy I’m my opinion was Guenael Lee sense he couldn’t defeat Yachiru. No problem dude. I like speaking with you. Dude hey, I’m so sorry for the late reply, I saw this message a few days ago but couldn’t find the time to reply to this. I really like the idea and had something even better. Possibly you could do a guest post based on your opinions and evidence you found? and why it might be a good year for Bleach. I’d love to post the images but they have way too much information in one image, maybe you could discuss these in your guest post? Is it okay with you if I personally email you to the email you’ve used here to comment on here? So we could discuss this? That would be great man, and yeah man send me your email, but I can’t do it just yet, as I need to carefully plan it and sort some things out at the moment, but I will let you know in advance when I like to discuss if that’s alright. But I defiantly want to discuss this and gets this done before the end of the year though.